We are always excited when landowners approach us with the intention to protect their property for the long term. Some of the initial questions we might ask are: does the property lie within our catchment area; does it meet our eligibility criteria; and what type of agreement do you have in mind: an outright donation, a conservation easement agreement, or some other option. Understanding the conservation options for protection is sometimes a steep learning curve, as we’ve discovered ourselves. Of course, property owners have many questions as well. Most want to know that this legal protection will really last forever and they need to understand how this can be assured. They also want to know what will happen if, for some reason, something should happen to the MMLT and we are not able to fulfill our own commitment to maintain and monitor the agreement. 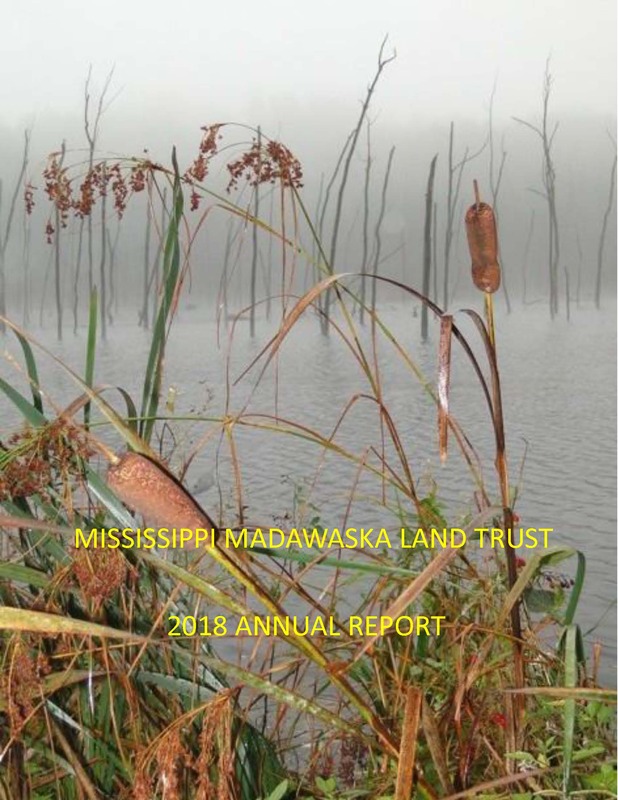 In such as case the MMLT must, as stated in its Articles of Incorporation, entrust the property to another qualified conservation organization. Naturally, these donors will also need to be assured that the MMLT is doing its very best to build a strong financial foundation and network of funders, members and volunteers so that such a likelihood will never occur. All these questions and concerns are very legitimate and take a while to fully grasp. One of the best ways to learn all about the process is to chat with someone who has been through it already. The MMLT can put you in touch with other donors who would be happy to explain all the steps. It’s a slow process, but that’s par for the course if you want to get all the details just right. We currently have eight properties which have been entrusted to our care. If you’d like to read a little about our special places, just click on the tabs under this menu or take a photo tour of each property. Several of our protected properties are open to the public year round. 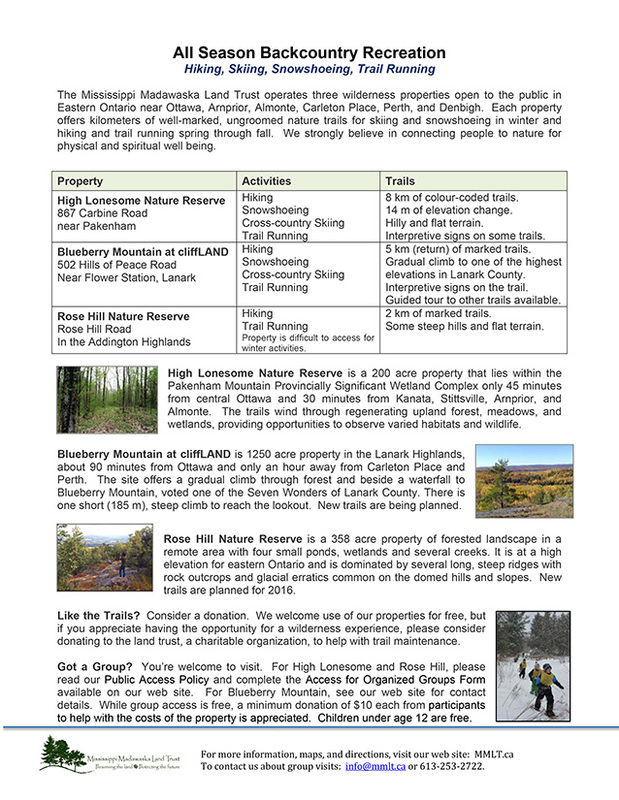 For more information, read about our options for All Season Backcountry Recreation by clicking on the image at right.